This article first appeared in The Edge Financial Daily, on August 24, 2016. KUALA LUMPUR: Loss-making UK-based retailer Tesco Stores (M) Sdn Bhd, which operates hypermarkets in Malaysia, is retrenching around 600 employees, as part of its transformation and restructuring exercise, according to an industry source. In March, Tesco Stores saw 130 of its employees at its headquarters leave after opting for a voluntary separation scheme. This time, those who will be asked to go are at the store level. It is unclear if the 600 staff involved include the first batch of 130. It was recently revealed that Tesco Stores has 10,000 staff, of which 500 are located at its head office. A spokesman for Tesco Stores, when contacted, told The Edge Financial Daily that the exercise involves its store management restructuring. The spokesman added that Tesco Stores was unable to divulge the number of employees that it will be letting go as the retailer is still in the process of job matching its employees to new roles. “We have today (yesterday) briefed our management teams on changes we are making to our store management structures. In order to respond to our customers’ ever-changing needs, we are simplifying structures in our larger stores. “This will involve replacing the existing store management structures with a simpler and more agile one. The structures have been designed to make sure we have clearer lines of responsibility in crucial areas that influence customer satisfaction like service, quality and availability — bringing our colleagues closer to customers. Tesco Stores is the third-largest hypermarket operator in Malaysia, with 55 stores. It is scheduled to open its 56th store tomorrow in Bandar Puteri Bangi, Selangor. After enjoying seven years of profitability, Tesco Stores plunged into losses in the financial year ended Feb 28, 2015 (FY15), with a net loss of RM289.02 million, on the back of RM4.52 billion in revenue. It also posted losses in FY16. 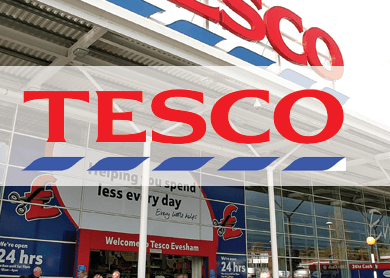 Tesco Stores chief executive officer Paul Ritchie recently said the Malaysian business is undergoing a three-year transformation, which was already showing favourable results. One of its initiatives is to transform six of its existing stores into the Next Generation Stores concept, which focuses on rationalising the size of its stores and malls to improve customer experience. Tesco Stores is a 70:30 joint venture between Tesco Holdings BV and Sime Darby Allied Products Bhd, a wholly-owned subsidiary of Sime Darby Bhd.